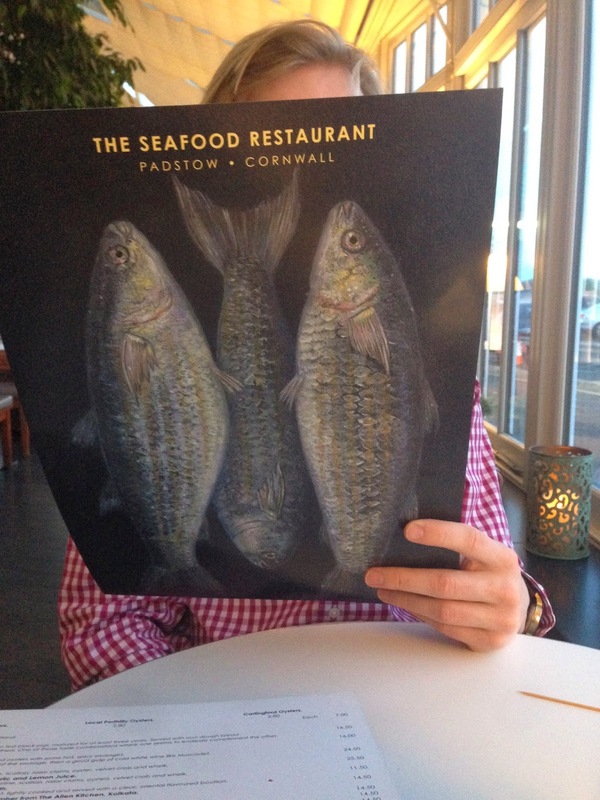 For our last night in Padstow we decided to treat ourselves to dinner at Rick Stein's restaurant. 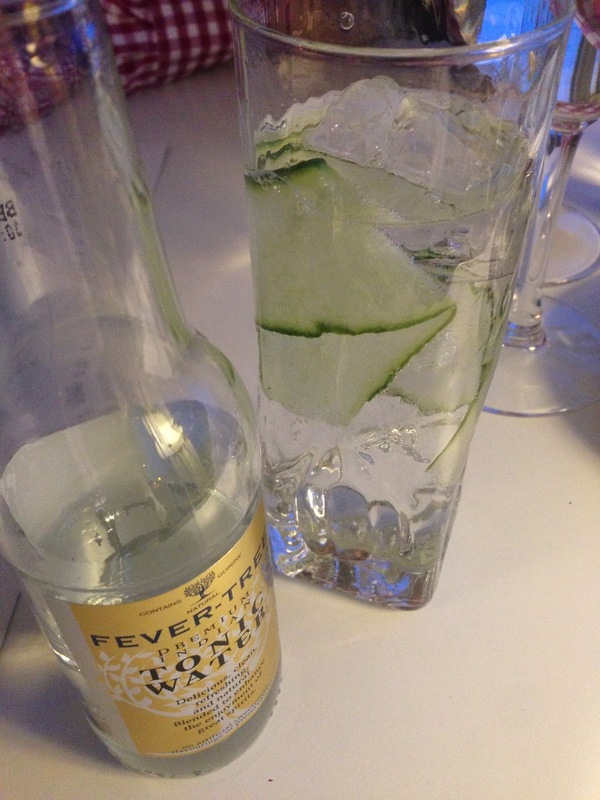 all washed down with ice cool, cucumber crisp, Gin & Tonics. Once seated at our table we were brought the bread basket, with parmesan and truffle butter to spread (divine!). 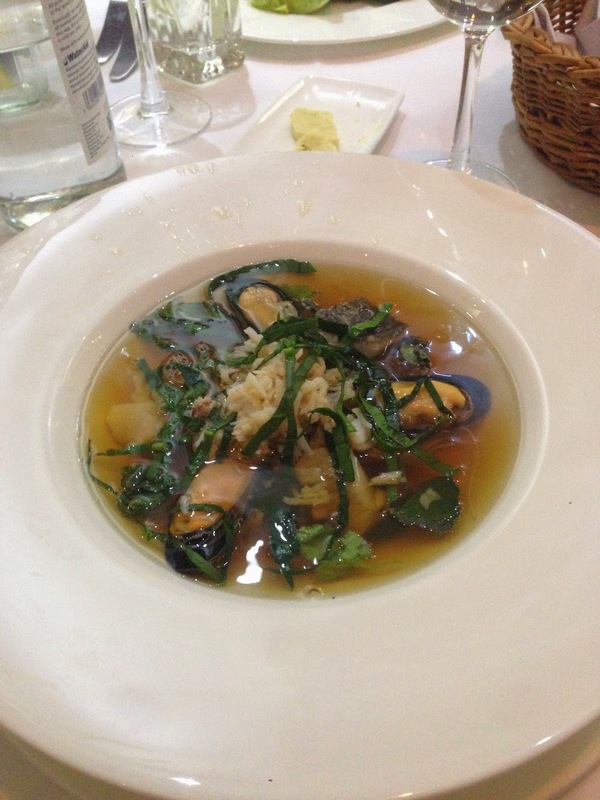 A mixed seafood broth made the cut, flavoured with chilli and coriander, filled with the freshest seafood, mussels, crab and scallops. 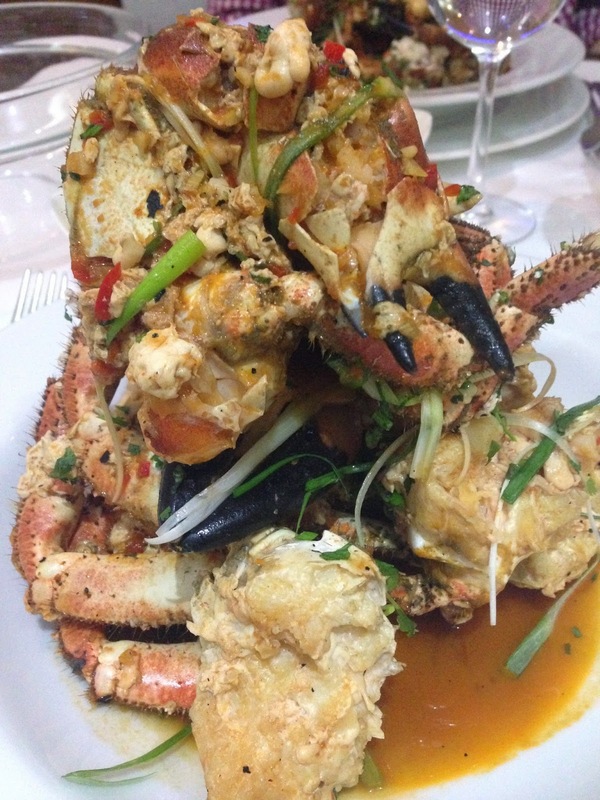 Rick Stein's Singapore stir-fried crab. 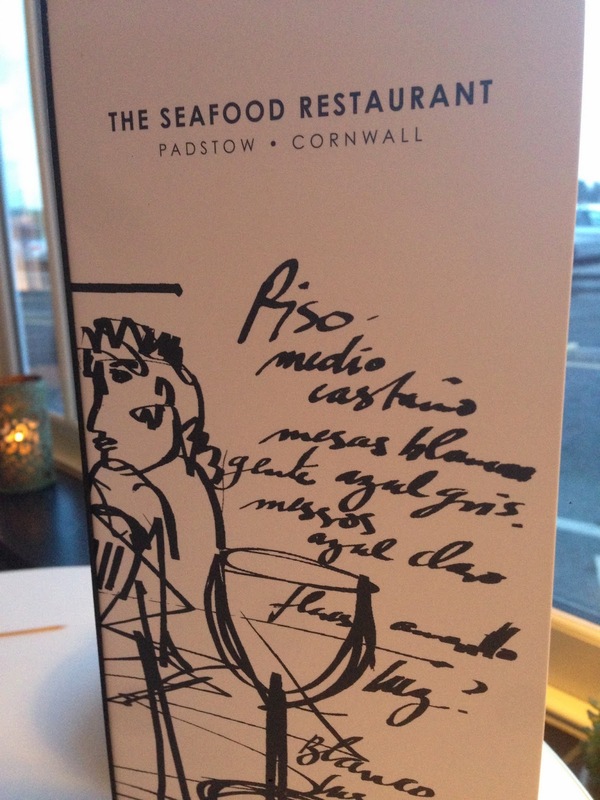 You are prepped with various tools and tongs and whilst you get yourself safely tucked in with several napkins your piled high bowl of fresh crab arrives. Its a messy business and you will be at it for a while, but really worth the work. And for dessert, chocolate fondant. Just the perfect treat to share after a decadent last meal at Rick's.